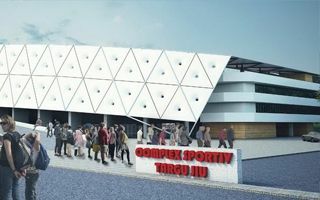 The dated Vladimirescu Stadium in Târgu Jiu is to be completely demolished and rebuilt alongside new indoor hall. Old floodlight masts will be removed and capacity will grow from 9,200 to 12,386 spectators. Single-tiered stands will tightly surround the 6-lane running track, though end zones will be left empty. 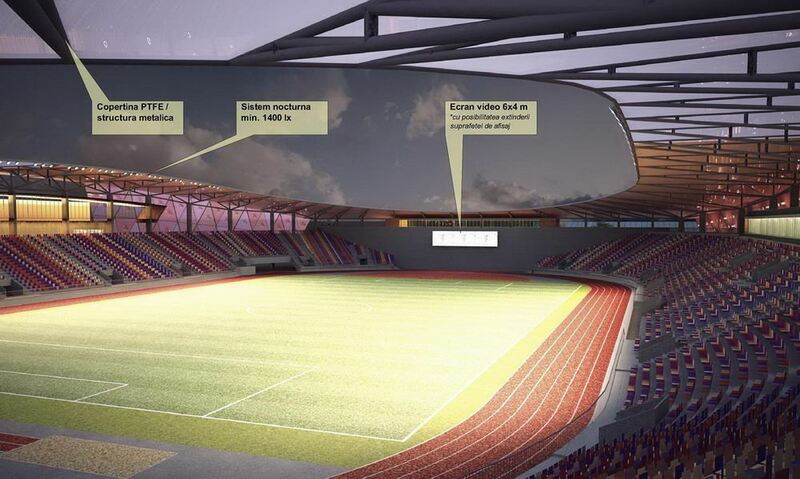 West side will accommodate journalists (up to 280 seats) and VIPs (990 premium seats) along roughly 5,000 regular fans. 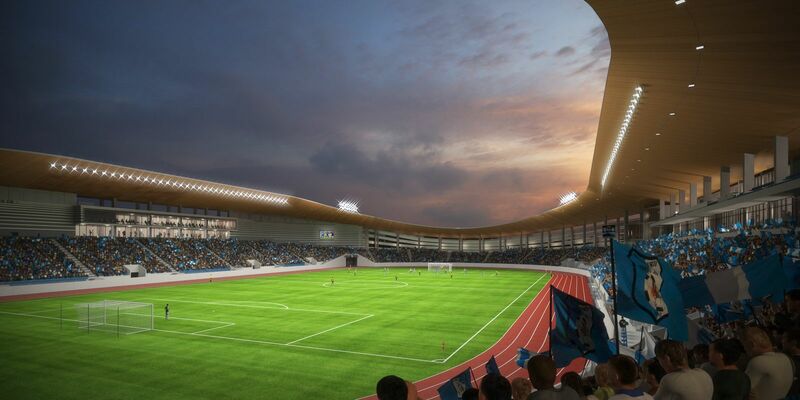 East side will hold the vocal fans of home and away teams, also providing room for club offices, even ones overlooking the field. A hotel with 38 rooms and additional facilities are planned. 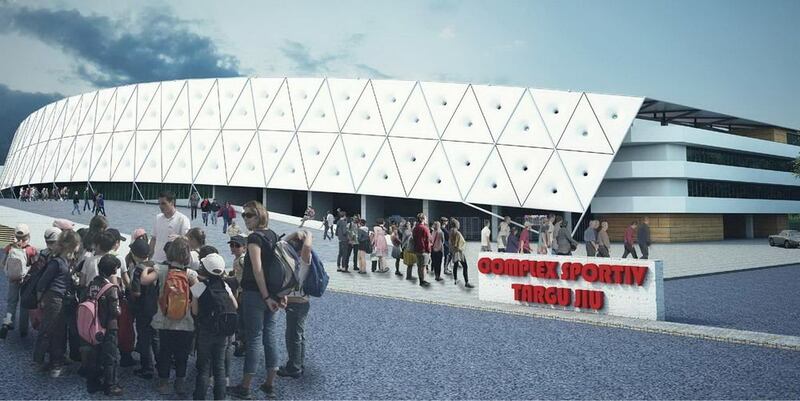 Also, the stadium will provide over 200 underground parking spaces due to very limited space around the building. Simple and elegant fiberglass/PTFE shell will be its main aesthetic feature. 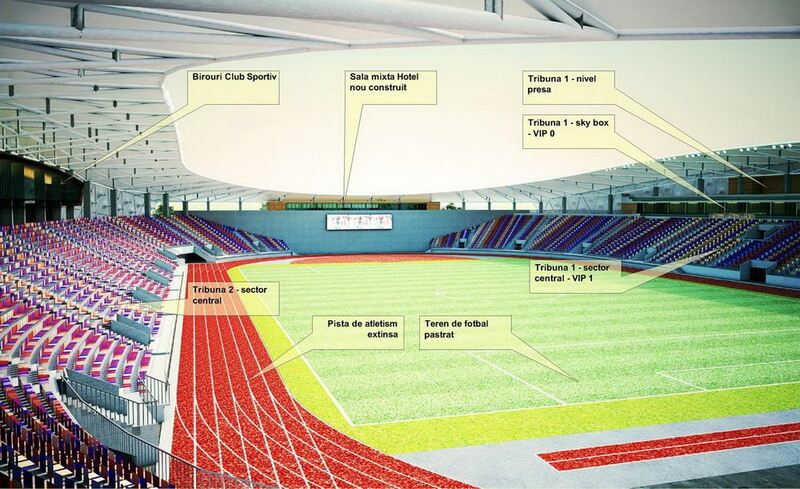 The new stadium in Romanian Târgu Jiu will be among the most interesting multi-use stadia of its size.